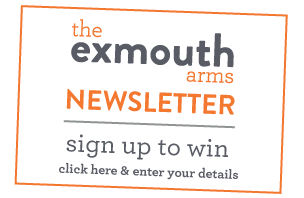 There’s always plenty going on at the exmouth. Whether you’re looking for live music, a craft fair, a film or a quiz night you’ll find it here. Bookmark this page to make sure you keep up to date with all the latest action and news. If you’re a fan of all things Britpop then this 5-piece covers band will be right up your street. But the music influences don’t stop there. Expect an eclectic mix of party anthems from Oasis to Blur to The Jam and Amy Winehouse. Looking forward to a great night from 9ish. Every Sunday we test the very best of brains on the Bath Road with our definitely not so serious quiz. Join us for a fun evening. Teams up to 6, £1 per person entry (which includes free nibbles). Starts at 8pm – don’t be late!